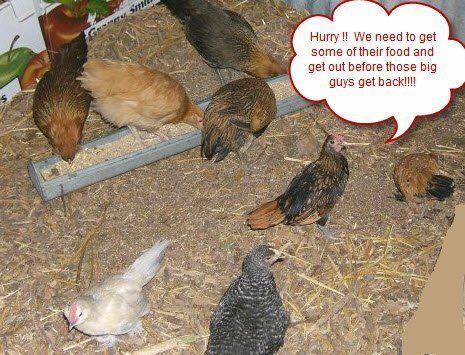 She then decided to get 4 Rhode Island Reds and raised them to healthy, busy young ladies. 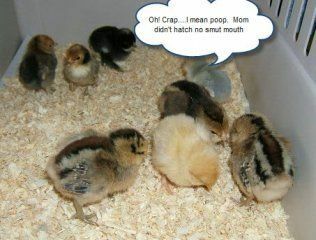 This got me enthusiastic....so we went out and picked up 8 more chicks: 1 Buff Orpington, 3 Easter Eggers and 4 Bantams. Here are some pictures of our chickens. 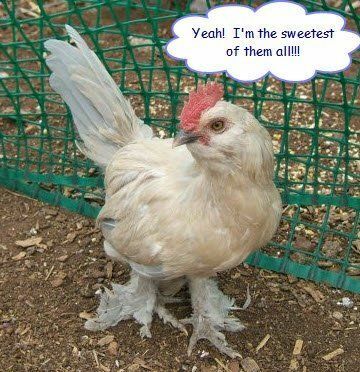 Now our young ones are older....but not big enough to be with the big chickens. They get picked on and I am afraid they will get hurt. 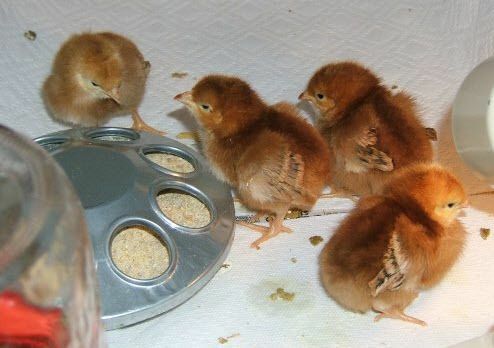 It seems like the Bantams are still so small. 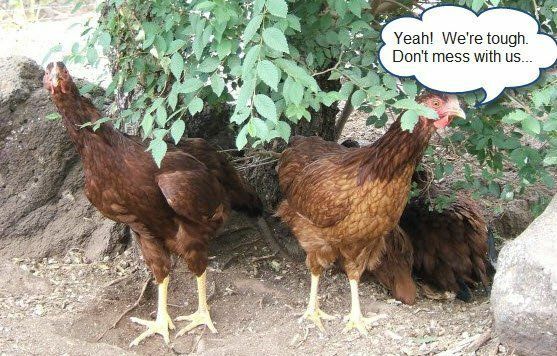 We let the big chickens out of the coop during the day and let the younguns out of there pen to have some fun. [FONT=courier new,courier]On top we have the 3 Easter Eggers Motty, Red and Suzy. In between them is Buffy our Orpington. In the front are the Bantams. From left to right is Blue, a Porcelain Booted, Matty (Matilda) a Barred Cochin, Binty a Golden Sebright and Butterscotch, a MilleFleur Booted. We know that Binty and Blue are Roosters. They are fun to listen to in the morning as they try to crow like the big guys. [FONT=courier new,courier]They just started laying eggs. All four of them layed their first egg on the same day. They are in the middle of the pecking order around the coop. They catch it from the bigger ones and dish it out to the little ones.